This area is a bit far from my typical area. 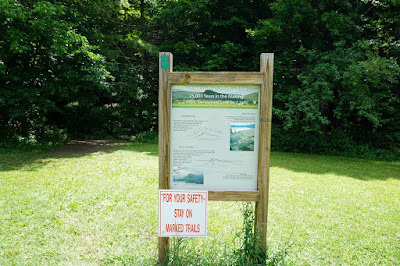 I had heard about this hike and wanted to do it for several years, but due to its distance from my typical hiking area, I never made it that far up. 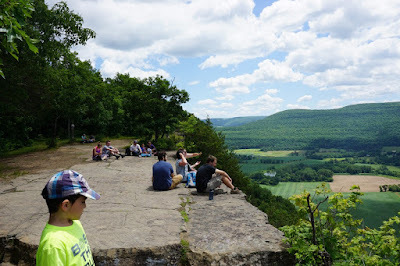 However, this particular day, I had a meeting upstate and was nearby the area, and this was my opportunity to do this hike. This hike features a loop trail that is relatively short, that leads to an amazing view atop a very interesting geological formation. 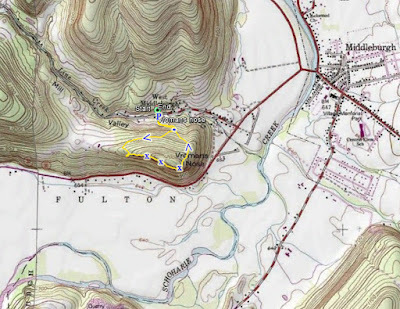 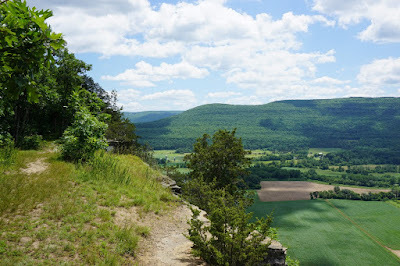 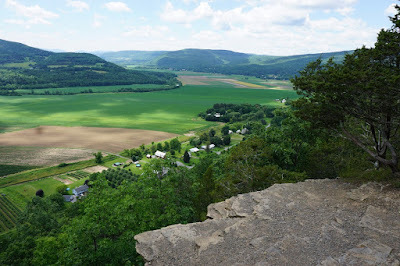 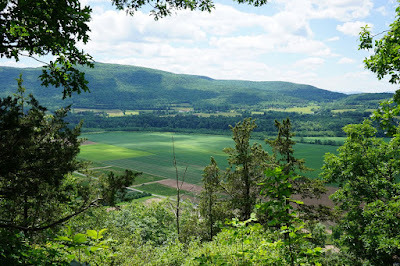 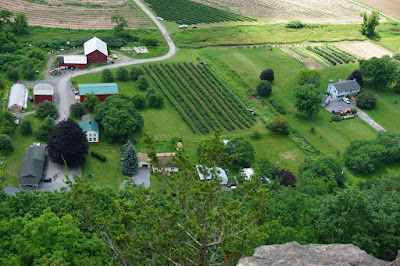 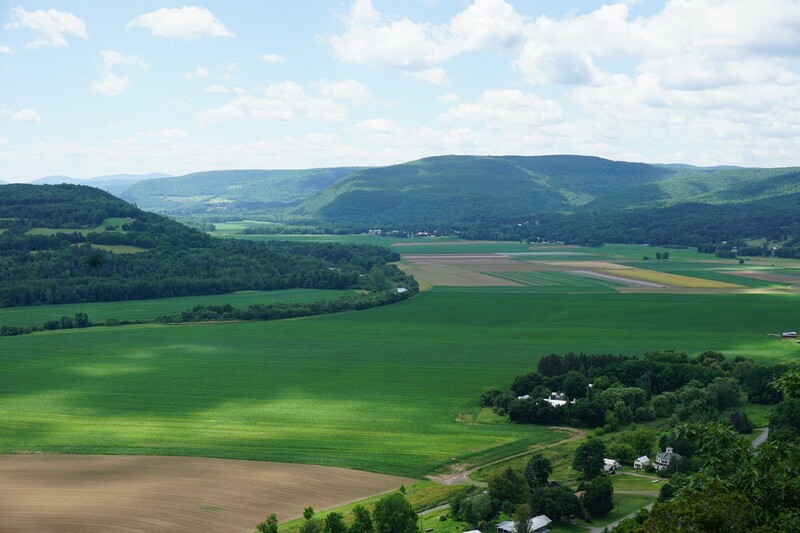 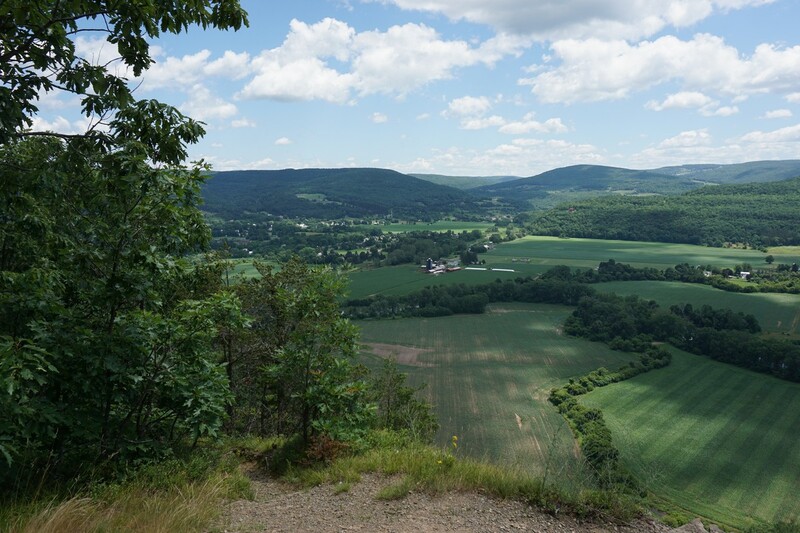 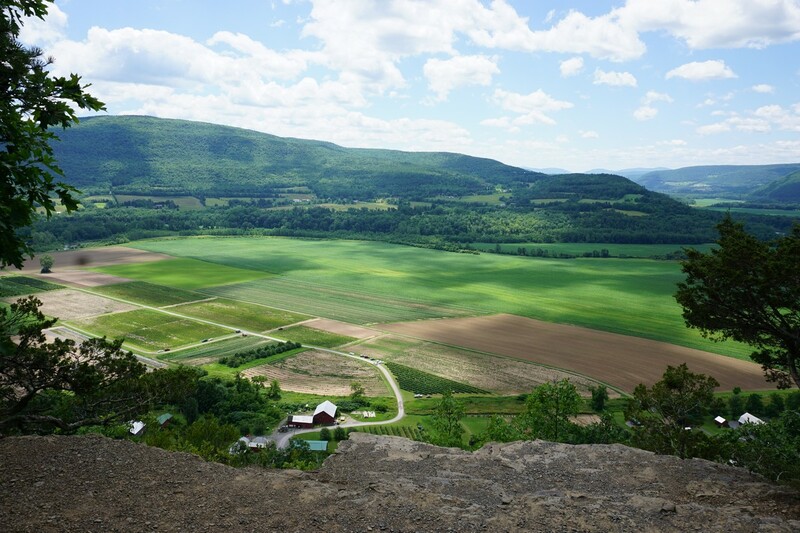 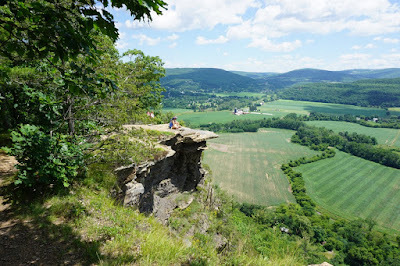 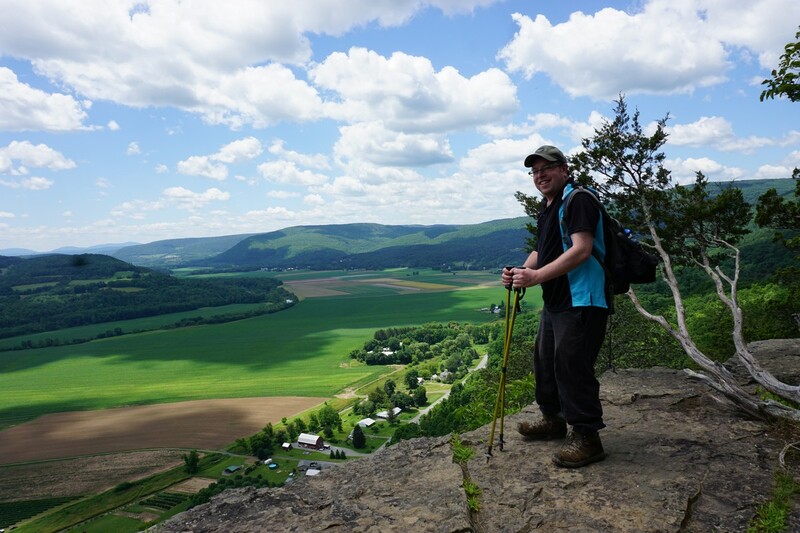 The top of the mountain features a straight cliff face jutting down to Route 30 and the Schoharie Valley farms below. We parked in the parking area off Mill Valley Road, and veered right at the split at the Green Trail. This trail gradually climbs until near the cliff summit, where it climbs sharply after joining up with the Long Path. 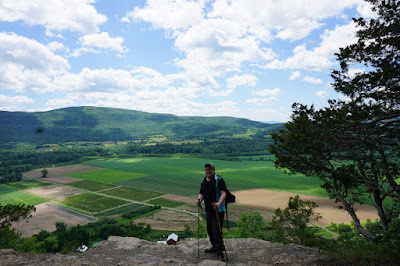 The trail then goes along the side of the ridge climbing, until the "Dance Floor" is reached, which is a flat slabbed rock with glacial scratches on it that faces the edge of the cliff. We continued along the ridge of the nose near the edge of the cliff on the trail, and the trail then veers back inward for its descent meeting up at the original loop point. 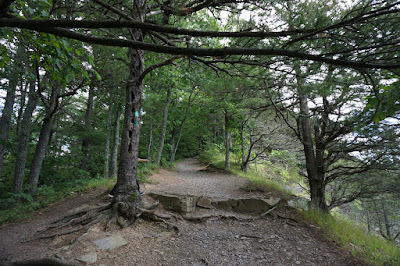 We continued from here back to our car.